Miss Y, a frequent dining companion of mine, has been somewhat AWOL for the past little while. No, she hasn't begun food cheating (is that a real term?) on me and started eating with someone else. Rather, she has taken a keen interest as to where her vegetables and meats are sourced. Naturally, it makes it hard for her to eat out. 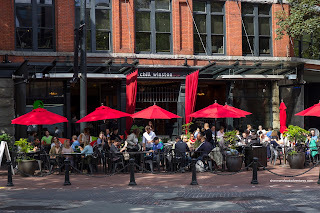 With this in mind, I was curious when I got invited to Chill Winton's media dinner. 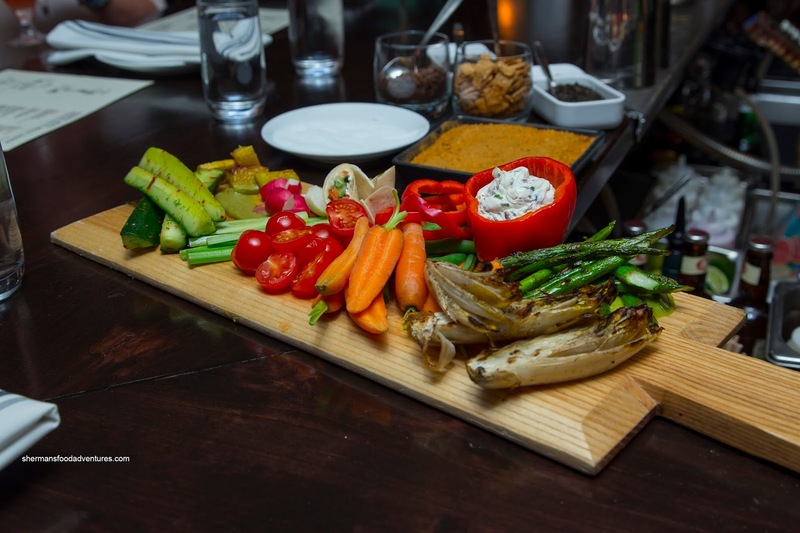 You see, Executive Chef Derek Bothwell is passionate about the ingredients he uses. 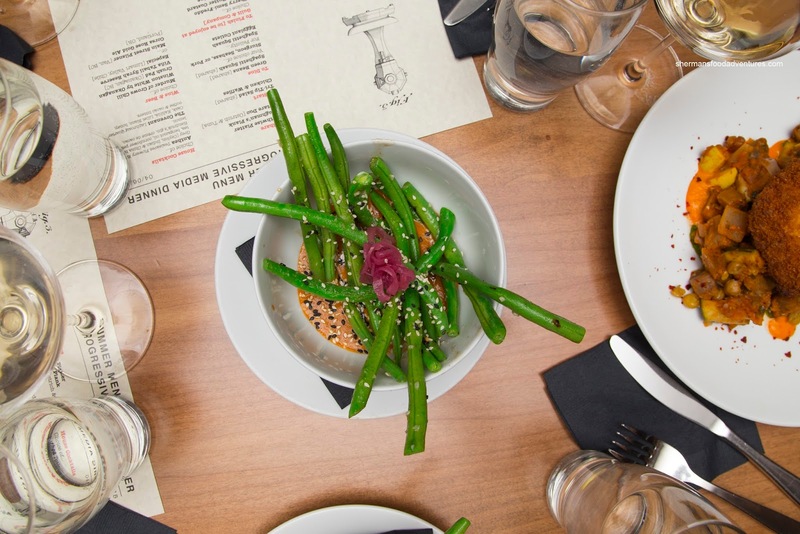 In fact, Chill Winston has their own farm plot in Tsawwassen and their meats are organic, free run, antibiotic and hormone free, and ocean fare that is exclusively line caught and from sustainable stock. With in mind, it wasn't unexpected that we were started with some appies in the bar including a beautiful Earthwise Platter consisting of organic hand-picked veggies served with anchovy dip, harissa and a mushroom cream cheese. As evidenced in the picture, the veggies were vibrant and fresh. Of particular interest was the nicely sauteed asparagus and sweet carrots. Arriving at the same time, we also sampled the Ploughman's Plank with house-made fennel sausage, pork pistachio apricot pate, mackerel, mustard and pickles. Lean and meaty, the fennel sausage featured a noticeably crispy exterior. The mustard was necessary as the sausage was a bit dry due to the lack of fat. On the other hand, the pate was smooth and sweet. Most surprising of all was the mackerel rillette where it wasn't overly salty nor fishy. It ate much like a meat rillette in terms of texture. Our 3rd appetizer was a Tartare Duo including Ostrich (with Thai chili, roasted garlic, pickles, quail egg & chicharron) and Ahi Tuna (with jalapeno, cucumber and rice crisps). 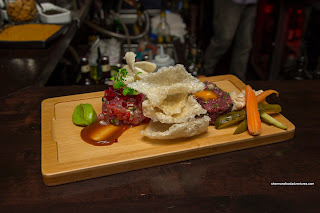 The lean hand-chopped ostrich did its best impersonation of beef while spiked with a certain lingering spiciness. I thought the chicharron could've been lighter as it was a touch chewy. Buttery while not overly soft, the ahi tuna was quite nice. I enjoyed the background spice from the jalapenos that didn't overwhelm the tuna. 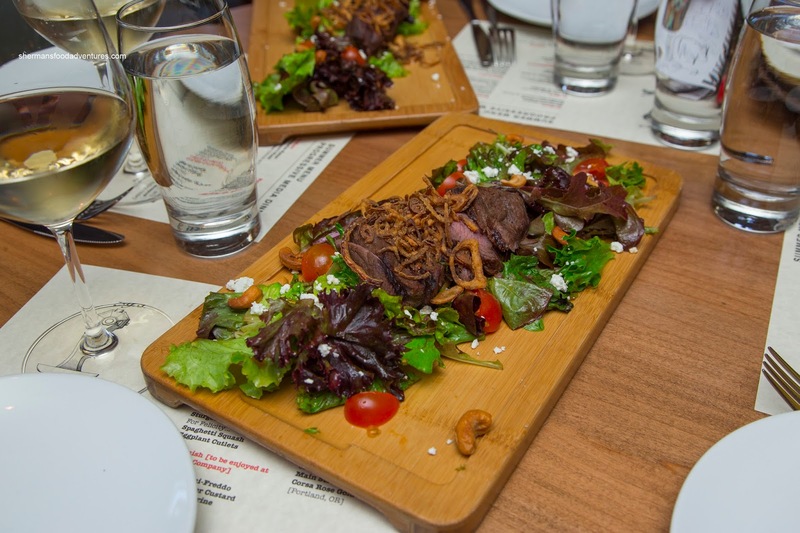 After this, we moved to a table where we were presented with the Tri-Tip Bison Salad with farm greens, cherry tomatoes, cashews, feta cheese, apple and sesame vinaigrette. This was fairly straightforward while executed right with sufficiently tender meat prepared a bit past medium-rare. I liked how the greens were dressed just enough that there was some impact when eaten together with the bison. Continuing on with the appies, we got a mini version of the Chicken & Waffles with liver pate and syrup. Yes, you read this right, there was a smear of liver pate underneath it all. 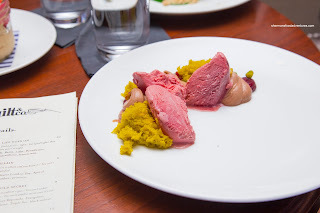 As much as it seemed strange, I've had something like this before at Blacktail (where it was foie gras mousse). 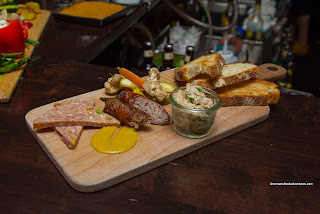 In addition to the sweet syrup and savoury fried chicken, the Earthy pate offered up another layer of taste. 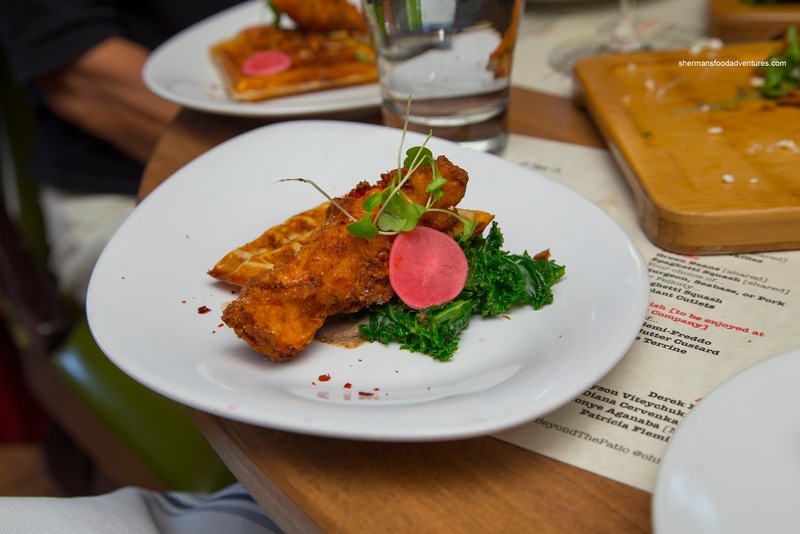 Back to the other ingredients, the waffle was thin and crispy while the boneless white meat was moist and sported a crispy breading. 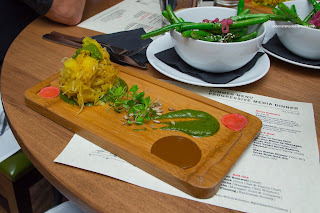 Prior to our entrees, we were served 2 sides including the Green Beans with coconut red curry and Spaghetti Squash with fresh basil pesto and sunflower seed butter. Crunchy and only lightly cooked, the green beans were really fresh and vibrant. Although the aromatic and slightly spicy coconut curry was a nice match, it was a bit difficult to coat each bean with sauce. As much as it didn't look like much, I really enjoyed the spaghetti squash. It retained a bite while being lightly seasoned. This afforded the opportunity for the 2 accompanying sauces to do their thing. 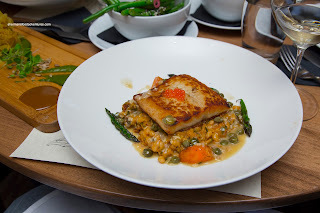 Onto my main, I selected the Vancouver Island Roasted Sturgeon with house-made sausage cassoulet and caper butter sauce. Being a firmer fish, they did a remarkable job where it was flaky and surprisingly moist. On the outside, there was a crispy and caramelized sear that added a caramelized smokiness. Underneath, the cassoulet was hearty and well-seasoned. However, I would've liked to see firmer beans though. With a mild salty-tang, the butter caper sauce was a good match for the sturgeon. Too bad it was mostly soaked up by the beans. 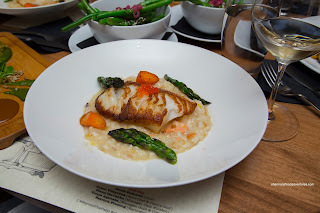 I was also able to sample the Chilean Seabass poached in ponzu (Cam Neely anyone?) with prawn risotto. Sporting an attractive crispy sear, the seabass was buttery and flaky. It was seasoned just enough with a citrusy saltiness. As for the risotto, it was creamy and lightly briny. It was a tad overcooked. For dessert, we were moved down to Guilt & Co where we enjoyed their live band and energetic atmosphere. 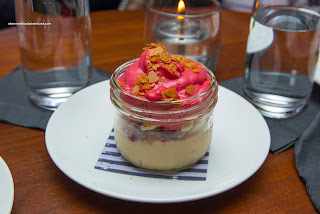 I quickly dug into the Peanut Butter Custard with raspberry mousse and white chocolate crumble. 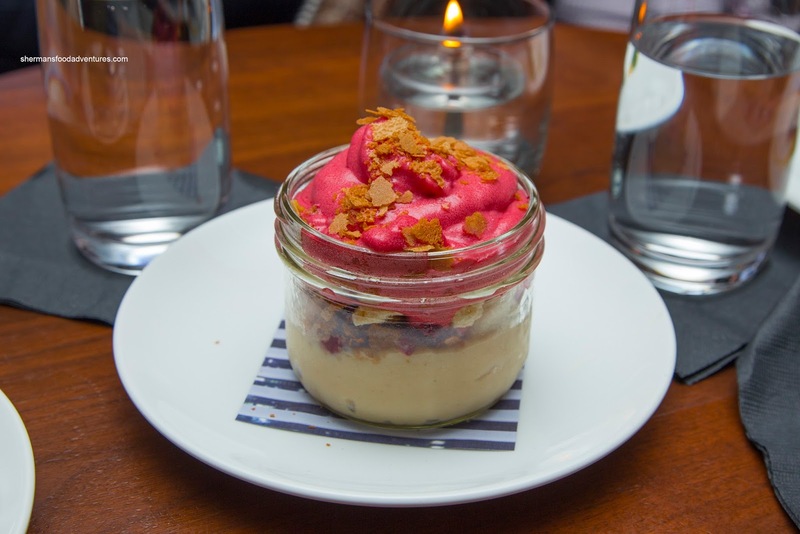 This was appetizing where the rich peanut butter was nicely accented by the tart mousse. Adding a mild crunch was the semi-sweet crumble. 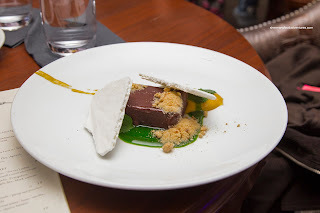 Next up was the Chocolate Terrine with toasted coconut, mint puree, coconut jam and vanilla meringue. The terrine itself was rich and decadent with a slight bitterness. I enjoyed the aromatics of the coconut and the mint created a familiar combination. Lastly, the Cherry Semi-Freddo with aerated pistachio cake, milk chocolate ganache and toasted pistachio was a light way to finish off the night. It was definitely less impactful than the peanut butter custard where the mildly sweet semi-freddo was airy as well as the fluffy cake. 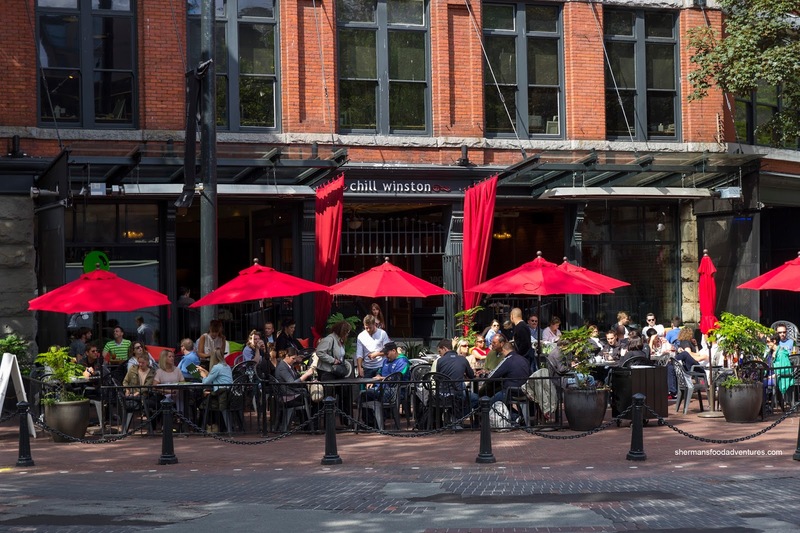 Overall, I was quite surprised with the food at Chill Winston as it is remarkably different than my last visit. What impressed me the most was their commitment in sourcing quality ingredients.